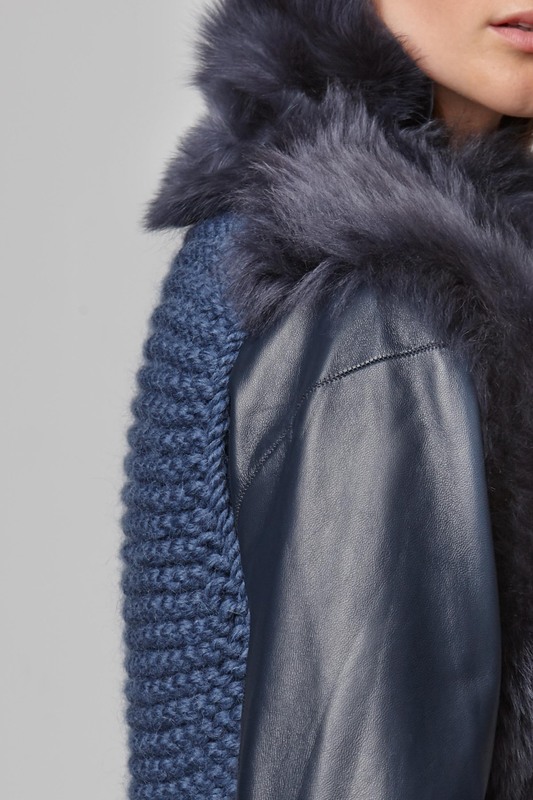 The original navy Shearling and Hand Knit Gilet. 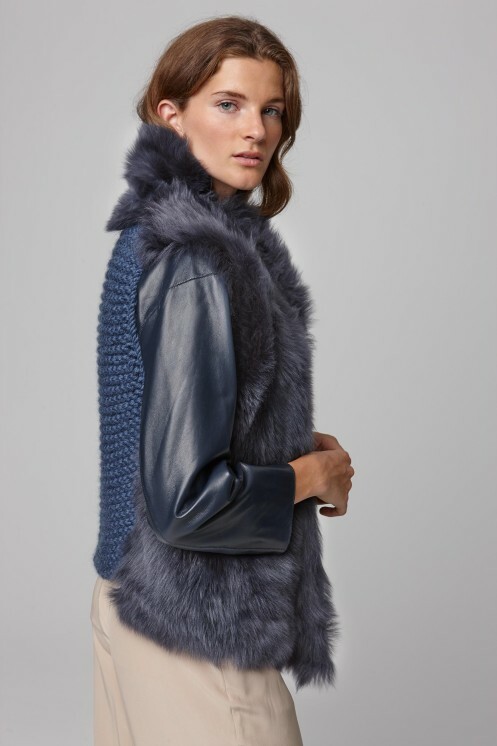 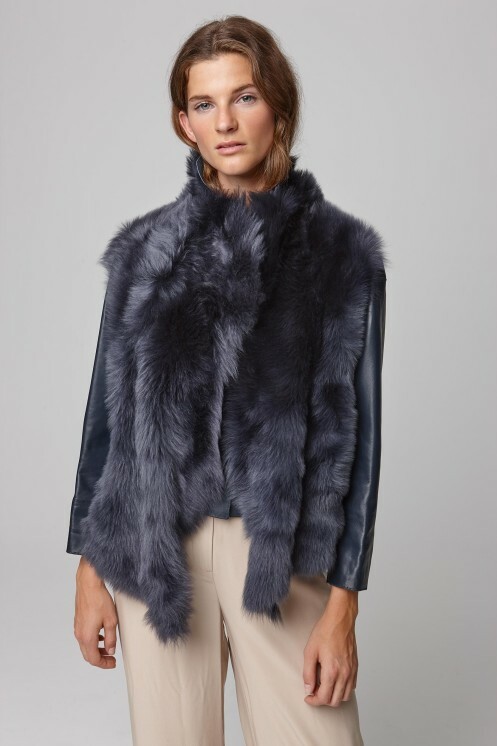 Handmade in England from a blend of luxe Toscana shearling, soft alpaca and organic wool, this lightweight, layering piece is reversible, and finished with a natural edge. 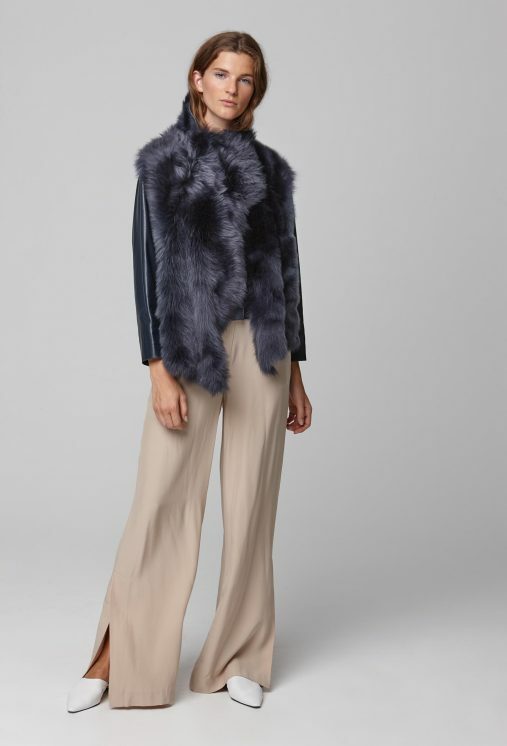 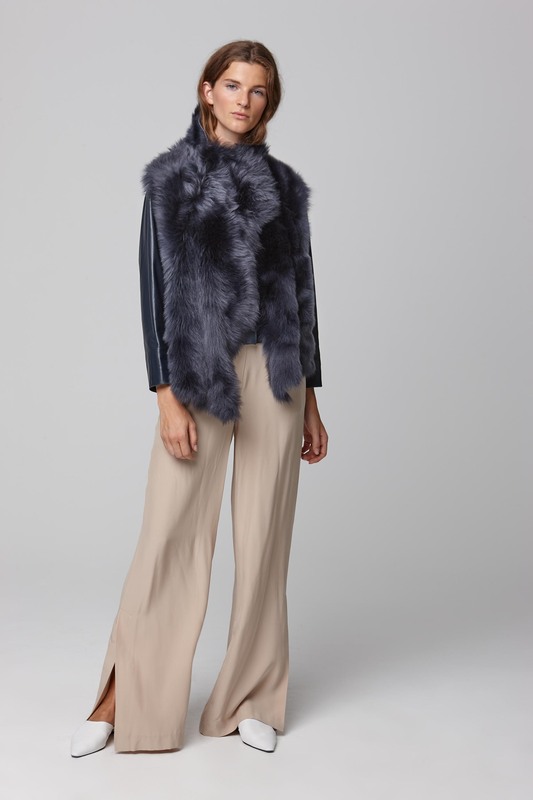 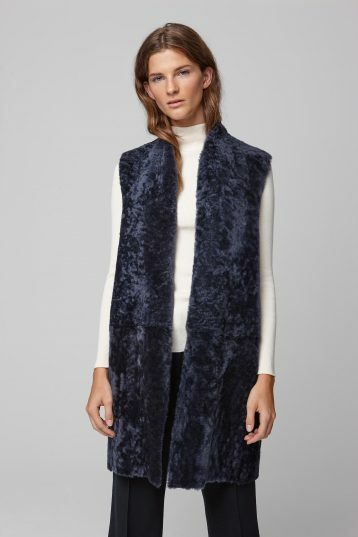 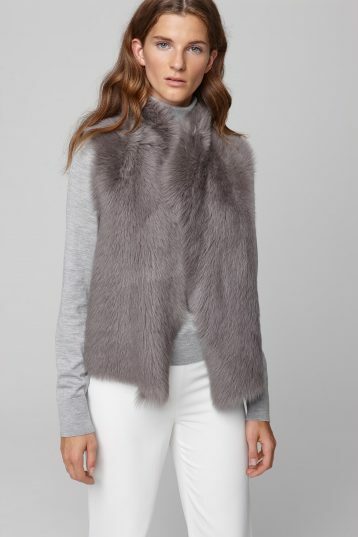 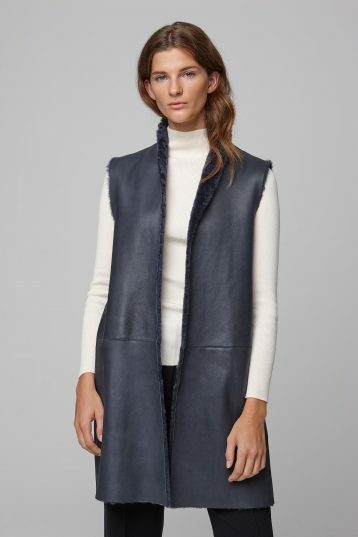 This gilet can be worn between seasons, over casual and smart layers alike.